The SAT test is used to evaluate a candidate’s critical thinking and problem solving skills which would help to measure their overall ability and potential to undertake the bachelor level study program. It is a compulsory test to secure admission in any undergraduate program of any college of USA. This test is developed, managed and administered by College Entrance Examination Board, based in USA. It is prepared and scored by the Educational Testing Service. It is an approximately 4 hour long test. 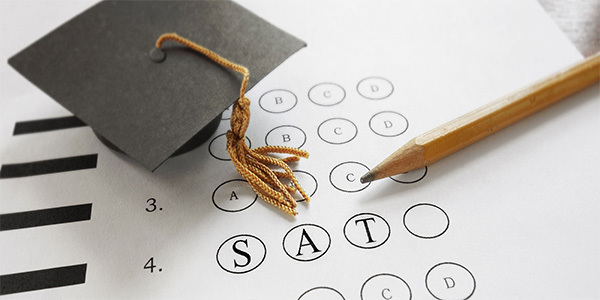 There are two types of SAT tests namely, SAT Reasoning Test and SAT Subject Tests. SAT subject test can be divided into 5 general areas – English, History and Social Studies, Mathematics, Science, and Languages. A college may require one or more of the subject tests for the purpose of admission and placement. SAT subject test consists of multiple choice questions. It should be noted that there are some subjects for which questions are asked in a unique pattern. There are no eligibility criteria for SAT. You can take it during your Class XI or even after the XII boards. Just keep your college application deadlines in mind as admission decisions are largely dependent on SAT scores (along with GPA, transcript, recommendations, etc.). The mere thought of cracking the SAT test can be never wrecking for most of the students. However, the test itself is no rocket science. Mentioned below are a few simple guidelines that can help you attain a good SAT score. It is administered 7 times a year for students in U.S., Puerto Rico, and U.S. Territories. But, for overseas students, the SAT is offered only 6 times each calendar year on designated dates.